- Offers through third party sites have a minimum order of £50 or a minimum order of £100. Please read the offer carefully. - Gift Cards earned are posted out after 21 days. If a refund is taken, gift cards earned are not posted out. 2. When will the gift card expire? The expiry date is 12 months from the date of activation or card load. 3. The gift cards I ordered have not arrived - what shall I do? Please call us on 01524 805034 and we will look into what has happened and do our best to resolve any problems as quickly as possible. If you order was sent by first class post we ask you to wait 5 days, as although Royal Mail usually deliver items overnight, items can sometimes turn up after 4-5 days. After 5 days, contact us, and if the gift card has still not been delivered, we will resend another gift card, after we are happy that the address is correct. We will send your replacement gift card by recorded delivery at no extra cost. If you chose recorded delivery or special delivery please click here and enter your tracking number on the Royal Mail website (your tracking number will be on the order dispatch email that we sent to you). 4. Can I have gift cards delivered to my friends and family? Yes, all orders up to £200 can be sent to an alternative delivery address in the UK. 5. I didn't get a confirmation email for my order. Why not? When your order is processed successfully our system sends you an automatic confirmation email. If you have not received this it may be because it has gone into your junk email folder so please check there, or it may be because the email address was entered incorrectly. We will still process your order, but please call us so that we can confirm your order has been received, if you are in any doubt. 6. I have tried to order using my debit and credit card and neither work. Why could this be? Please check that the name and address on the order (billing address), is the same name and address as the registered card holder. If not, then the card will not be accepted. If you order before 3pm we will send your gift card (s) out the same day. If you ordered after 3pm we will send your gift card (s) out the next working day. You will receive 2 emails from us, (1) the automatic confirmation email which you should receive as soon as your order has been successfully placed, and (2) an order dispatched email when your order has been processed and sent that day with Royal Mail. Click here to see our delivery rates in detail. Packing and postage by First Class Royal Mail is 95p. 9. Where can I find my tracking number? If you have chosen recorded delivery or special delivery, your tracking number will be the second email we sent to you (the dispatch email). 10. Will I receive a VAT receipt? Yes, you will receive an invoice/receipt by email which contains the VAT number and the VAT value on your order. 11. I can't enter my address or your website wont take my payment . What should I do? If you are having difficulty please call or email us on 01524 805034 or info@masterchefgiftcard.co.uk so that they can help you. 12. Is there a limit to how many gift cards I can buy? We currently have a maximum limit of £1200 per order online. Should you require an order above £1200 please call 01524 805034. If you wish to purchase more than £1200 in gift cards in a 12 month period then please call 01524 805034. 13. I have ordered more than gift card and want to send them to different addresses. How do I do this? If you want to send parts of your order to different addresses, you will have to put these through as separate orders, as we do not have the facility to split your order. We are only able to send your order to one address at this time. 14. I have lost or damaged my gift card can you replace them? We will need you to tell us the gift card number. (The gift card number can be found on the reverse of MasterChef Gift Card, and also on the gift card wallet). We can arrange for a replacement card to the value of the balance on the gift card at the time it is reported lost, stolen, damaged or destroyed to be issued to you. We will charge you £8.90 for providing a replacement gift card, and this will be deducted from the balance of the gift card. Replacement card requests will be completed within 3 working days. 15. I'm having trouble viewing your website? 16. Can I return a MasterChef Gift Card that I bought in error? You have the right to cancel your order for any reason within 14 days. We will refund the balance on your gift card less any discount given or transactions made using your gift card. If the gift card has not been used at all, refunds will not incur a cancellation charge, however, if your gift card has been used, an administration fee of £8.90 will be deducted from the refund. Please call us on 01524 805034, to arrange this you will need to leave a message if out of office hours. 17. Can MasterChef Gift Card be spent on several different occasions, or do I have to spend it all at once? You can spend part of your gift card and save the rest for spending later. 18. Where can MasterChef Gift Card be spent? In the Artisan Food & Drink Online Shop here. 19. I have an issue where do I address my complaint? We sincerely hope that you don’t have cause to complain about our services. 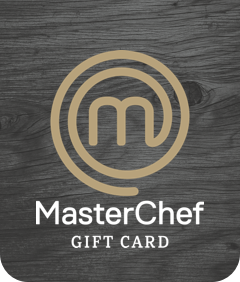 If your complaint is regarding the actual MasterChef Gift Card, please contact Card Services on 0344 7709015 (24/7 automated telephone line). Within office hours you can speak to a member of the Card Services Team, otherwise you can leave a message.